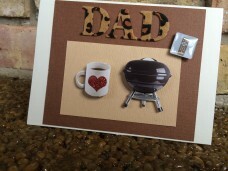 This tan multi themed card depicts a dad who knows how to grill, drinks his morning coffee, like animal print and is someone you can always call upon. 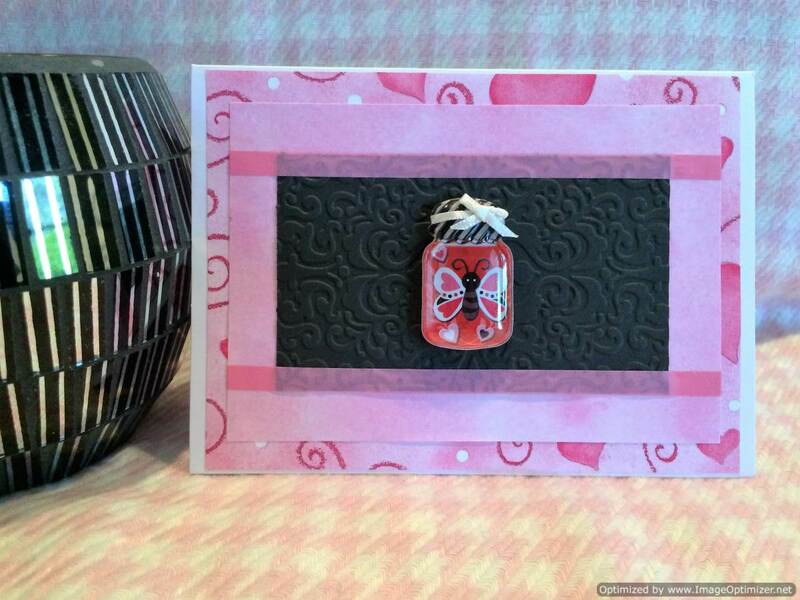 The 3 dimensional Weber grill styled sticker makes you want to have a cook out. The white coffee cup with red sparkly heart looks so good you can almost drink out of it. 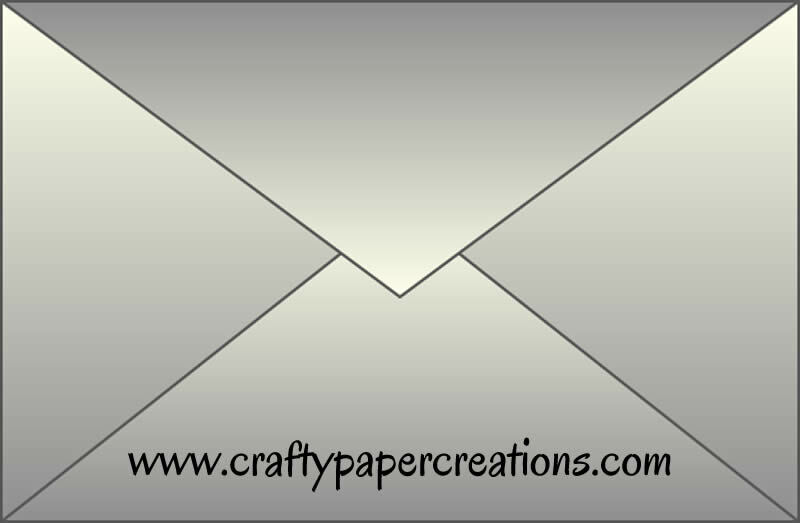 The stickers are backed tan and brown cardstock. Remember to call your dad! He’s a man of style and sports-loving dad. 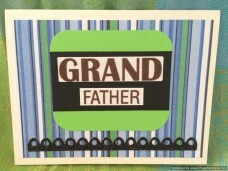 Give him a Father’s Day card that fits his personality. 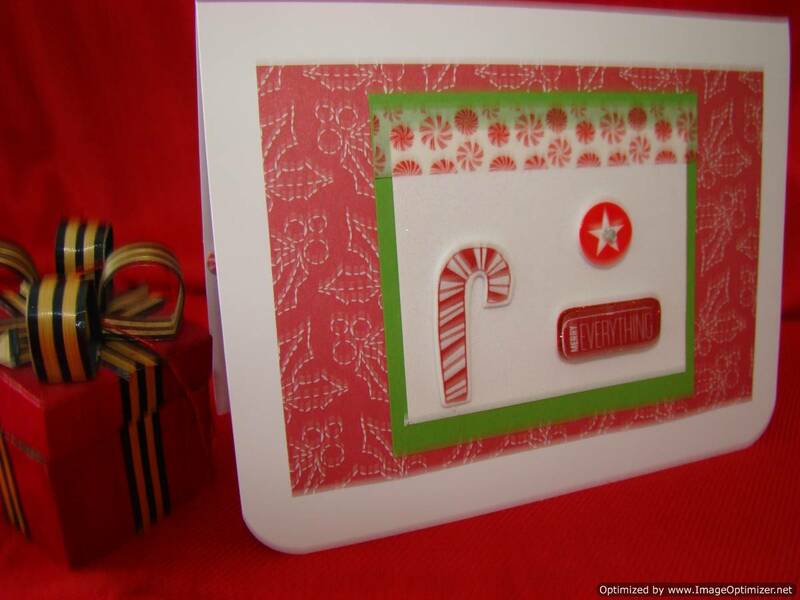 The baseball theme paper is backed on a cream colored cardstock. 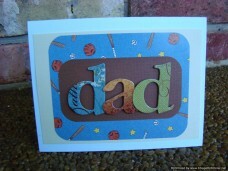 The large dad letters are designed with different color prints backed on a brown leather colored paper. 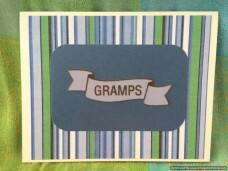 For a specially loved dad, this Father’s Day card features the word father on a navy blue fabric sticker paired with a cammel color scrolled 3D sticker in the right upper corner on two tones of creamy cardstock. Tell him you hope he enjoys his Father’s Day! 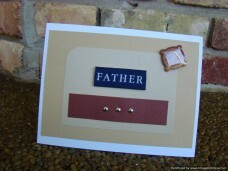 Your father will delight in this tan and navy blue handmade greeting card. 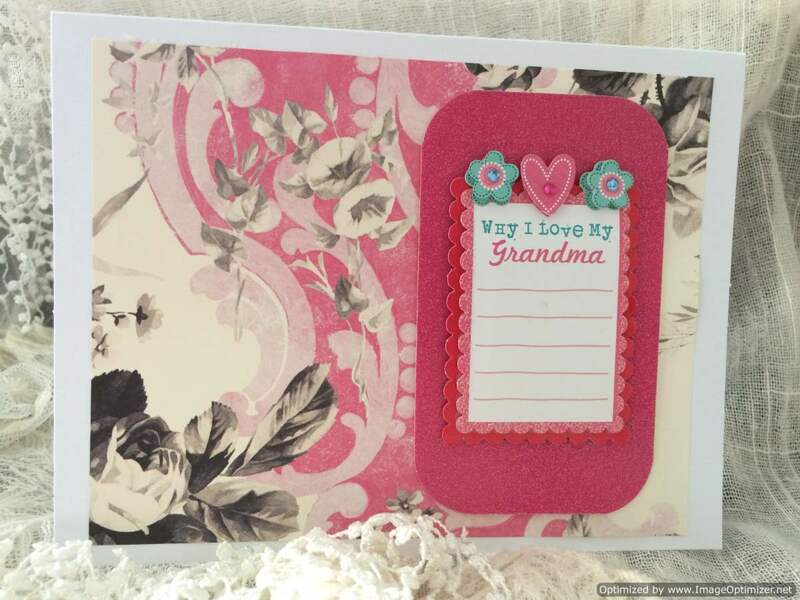 The 3 dimensional embellishment “Father Knows Best” banner and heart are striking on the scalloped midnight blue square paper. Send it to your dad. How much fun is your grandfather? 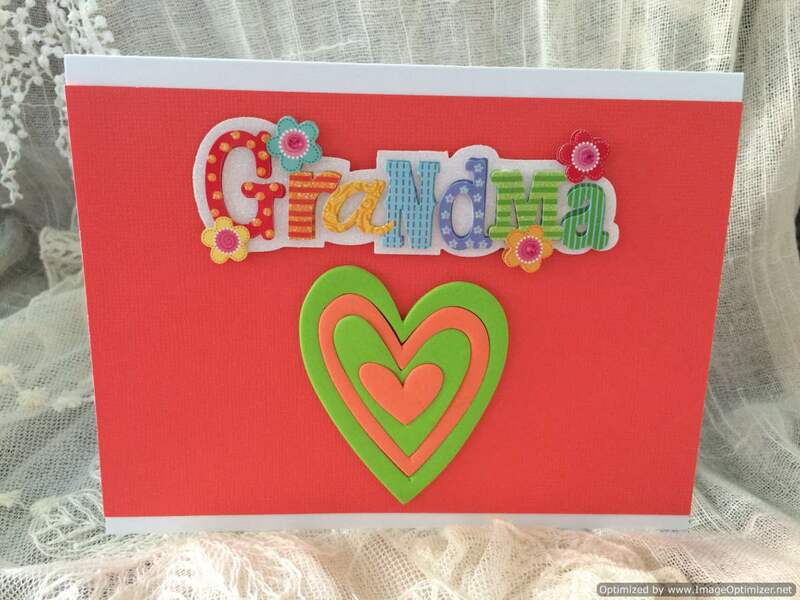 He is great, therefore this handsome card with huge letters spread across the green and black scrapbook paper with rounded corners, should be sent to your grandfather. 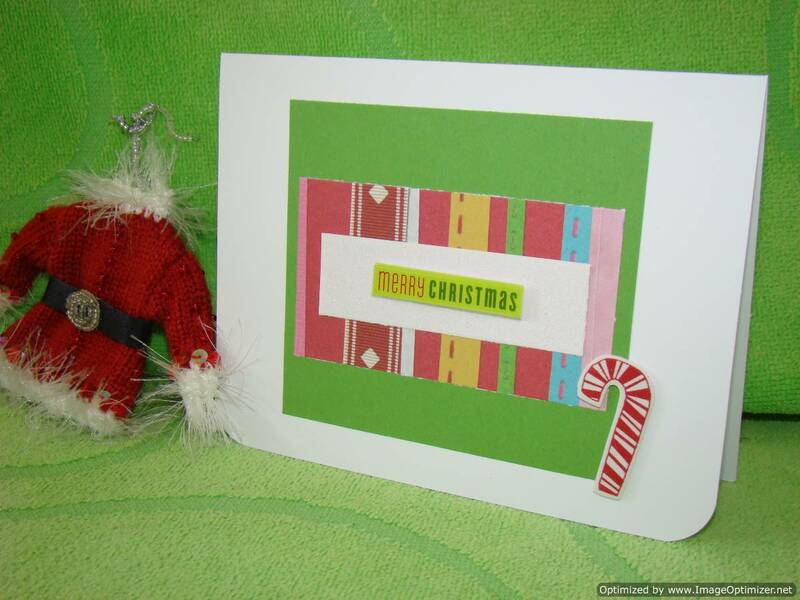 This stripped blue, green and black paper spans the background of the card and the black sparkling trim paper runs across the bottom. 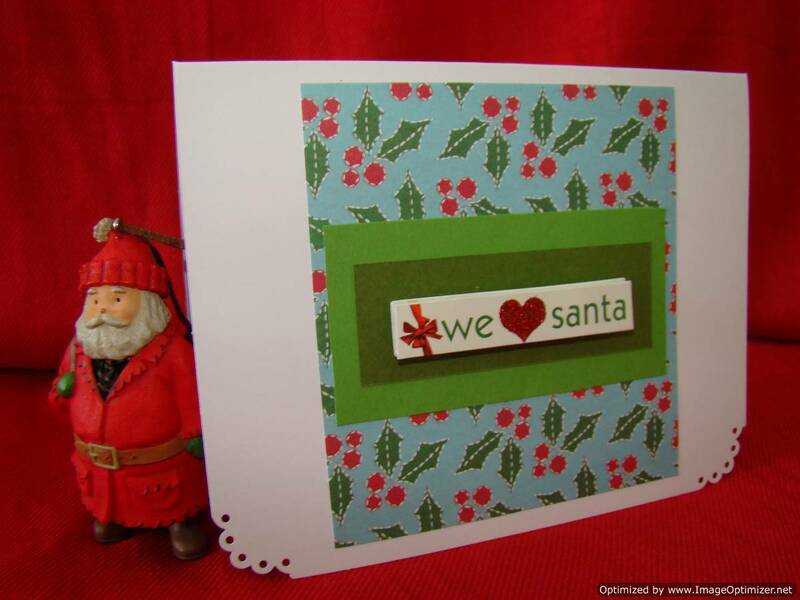 Your grandfather will love to receive this card from a special grandchild. He’s gone fishing. 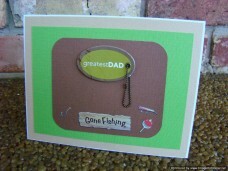 Fish hooks and bobbers are depicted with brown and green papers on this clever father’s day card for that guy who loves to go fishing. 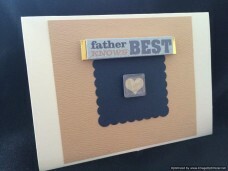 Tell your dad you hope he catches the best father’s day ever! An all American Dad! Say Happy Father’s Day to the one that can fix anything. 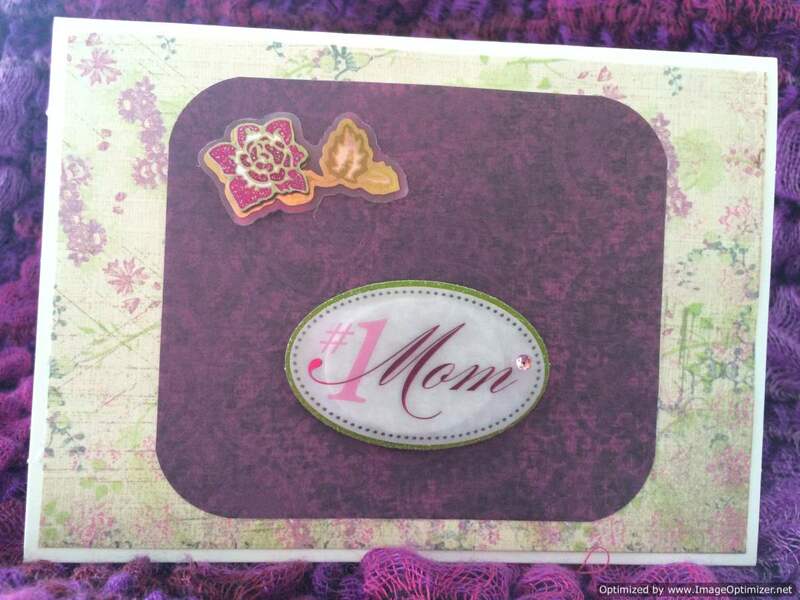 The blue star background paper and star stickers send the message fo your dad that he is the star of the day. 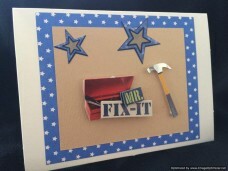 The 3 dimensional Mr Fix It and hammer on tan cardstock reinforce his skills and a man who is handy. 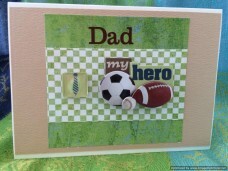 This Father’s Day one of a kind greeting card will thrill the athletic dad. The sports game equipment embellishments and neck tie stand out strongly. 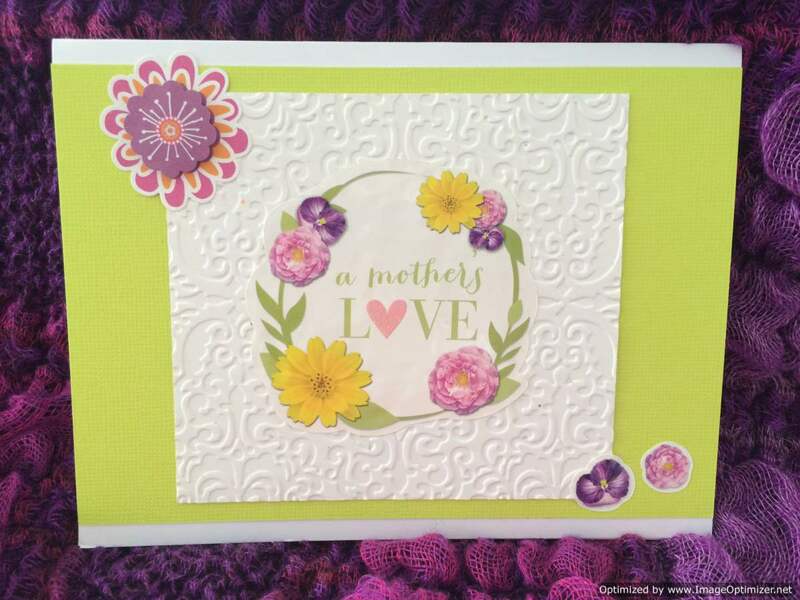 The tan and green scrapbook papers are perfect colors for the background. Give this card to your sport hero dad.